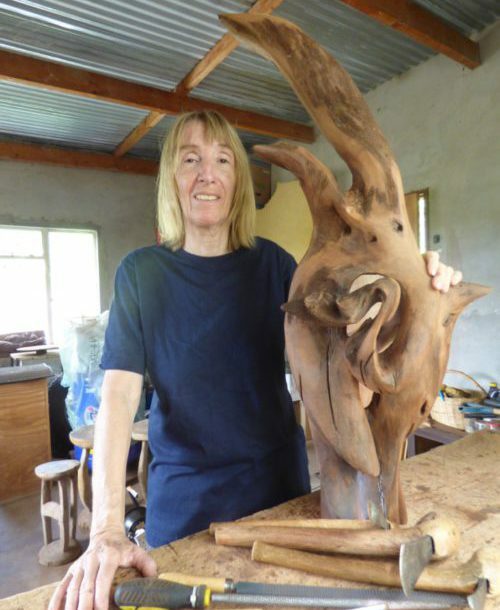 The old wood pieces Christiane works with are from fallen logs she finds in the bush, old roots from building sites, or firewood sold on the road side. Christiane uses hand tools only for carving, and the fine finish of the wood surfaces requires patient hand sanding over many weeks. See some of Christiane’s recent work.